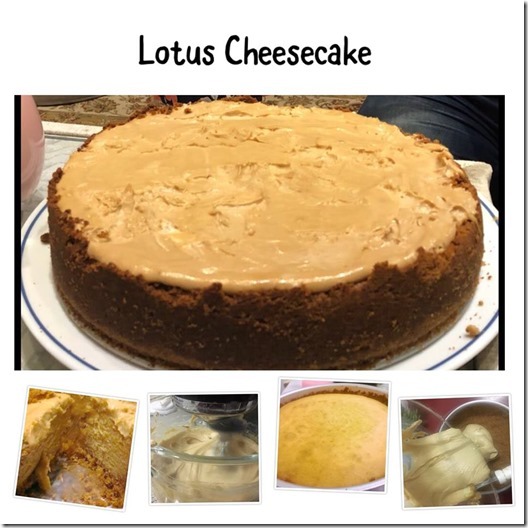 This lotus cheesecake is made by Bibi Khan and her recipes always turn out perfect. 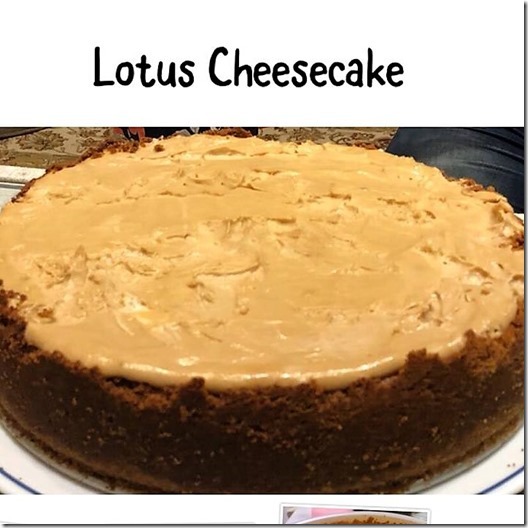 Lotus biscoff cookies are very famous and you have to make the base of this cake with lotus cookies. You can also use any digestive biscuits if cookies are not available. Prepare the base: Place at the bottom of the pan a circle of baking sheet equal to the pan in diameter. Cut two strips of baking paper slightly wider than the height of the pan, lightly grease the sides of the pan with butter or oil and attach the paper to them in overlapping strips so that they surround the whole pan. Finley ground the cookies. Add melted butter and mix well until the mixture is moist. Pour the mixture into the pan, flatten and tighten it well to the base in an even layer. Move to the freezer until the cheese filling is prepared. Beat the cream cheese and sugar and vanilla essence. 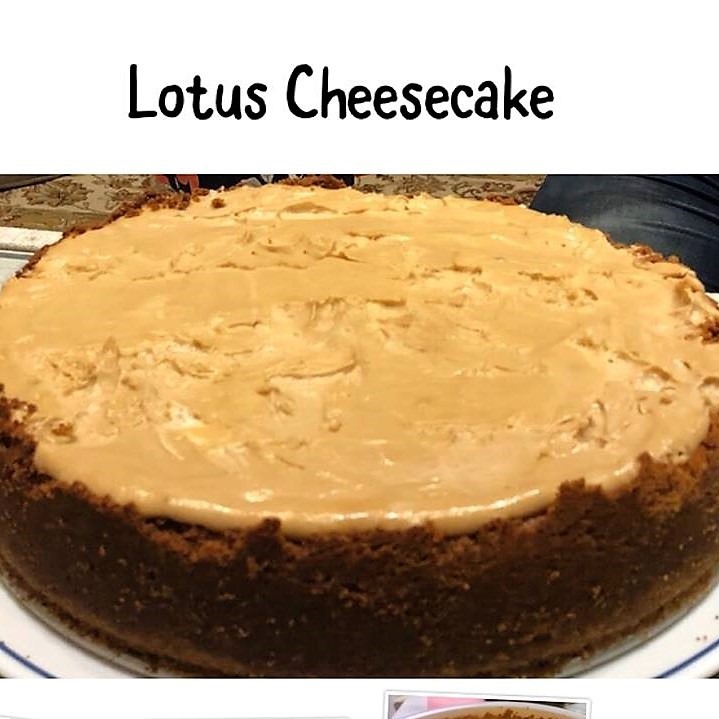 Add the lotus spread and beat. Add the eggs one by one beating on medium till everything is incorporated. Don’t beat on high as we don’t need extra air. Pour on prepared digestive base and bake on 165 Celsius for an hour in preheated oven. 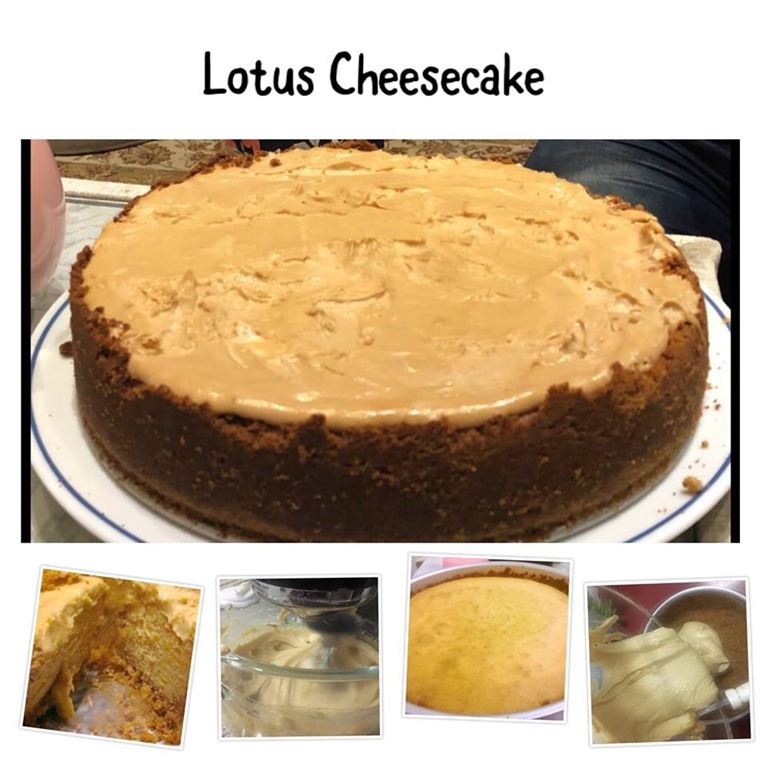 4 tablespoons cream cheese, 6 tablespoons lotus spread and 1 tin nestle cream. Whisk well and spread on cake. Keep in the refrigerator till u need to serve.